Welcoming Light into the world for Solstice is especially important, however calling Divine Light to you at any time is a Prime Directive for an empowered life. When you do this simple task your life takes on new proportions of Grace and Ease. It does not matter in what hemisphere you live, welcoming Light to the world enhances all life. Light carries all the attributes of God. Divine Light holds the Intelligence and Divine Love from the Source of All That Is. That means when you call Divine Light into your heart, and direct this Light wherever it is most needed, the quality of Divine Intelligence within the Light will know what to do for the Highest Good of all. You can trust that sending Light into troubled places in the world will change the frequencies and allow Creative Solutions to be revealed where there were none before. When Light fills every cell in your body, you feel healthier with abundant vitality and strength. When Light fills your emotional body you feel more illuminated and inspired with insights that give you an empowered way of seeing your life. In your mental body, Divine Light fills your mind with expansion and a clarity that allows you to bring forth greater connection to your Soul’s gifts. 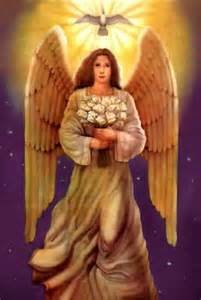 When you call Divine Light into your work and your relationships, new guidance and empowered Love is revealed. That is why it is called your Guiding Light. 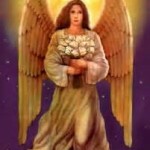 The Archangels are illuminating the world during the empowered time of the Holy Days. The energy of this special time allows the boundaries between nations and all hearts to be dissolved in the power of Divine Light. This means that the full force of the Angelic Dimensions is open and ready to intervene as it serves you in miraculous ways until the portal closes on January 5. This activation is one of the gifts of the 12:12 Alignment. When Christed energy empowers Divine Love to awaken in the hearts of all who are receptive to aligning with the Source of All Light, the prevailing energy of Unconditional Love expands to unite the world in a beautiful web of Divine Light. All your needs are met within the power of this Light. You are a Light to the world. Breathe Light. Receive Light. Give Light. Be the Light that you are. And so it is.